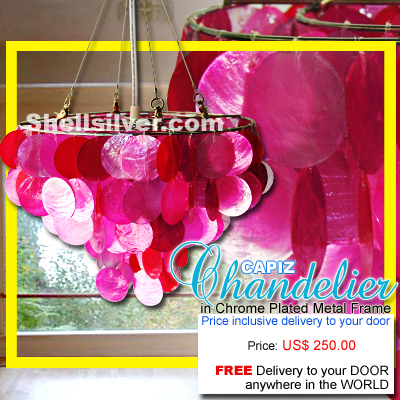 3 layers Capiz chips red and pink round design, 67 strand, 224 pcs. 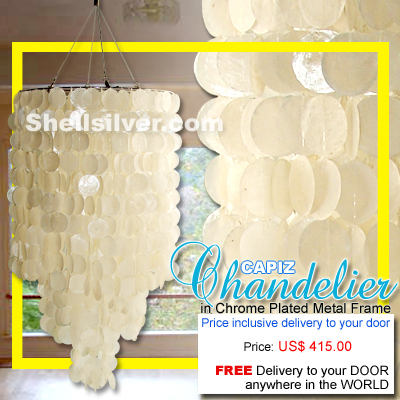 50mm capiz chips, 9.5 inches bas more..
3 layers Gold Capiz chips 40mm diameter chips round design, 95 strand, 2352 pcs. 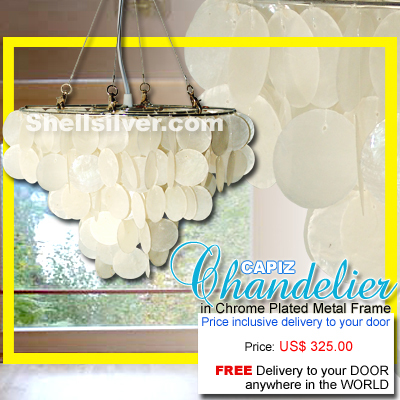 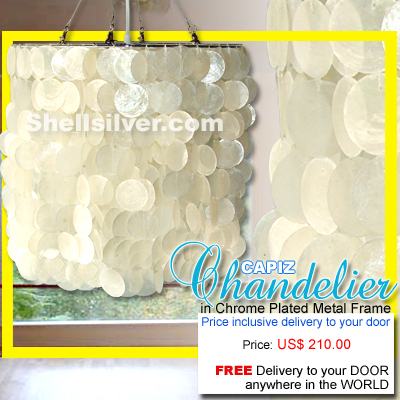 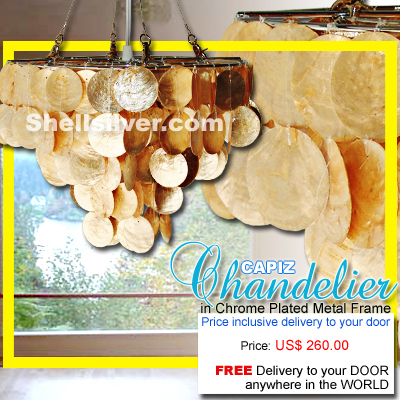 40mm capiz round ch more..
3 layers Capiz chips natural white circle design, 79 strand, 263 pcs. 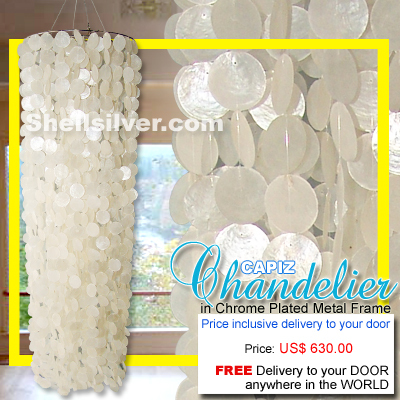 50mm capiz chips, 9 inches bas more..
3 layers Capiz chips natural white in round design, 70 strand, 345 pcs. 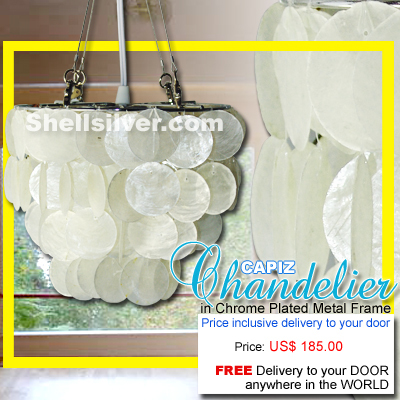 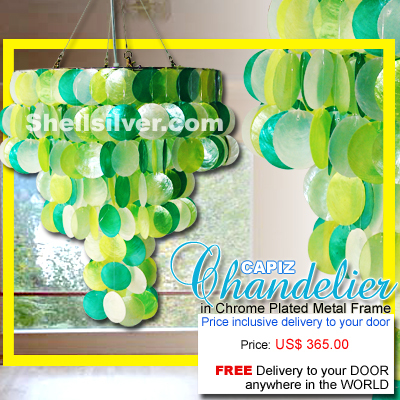 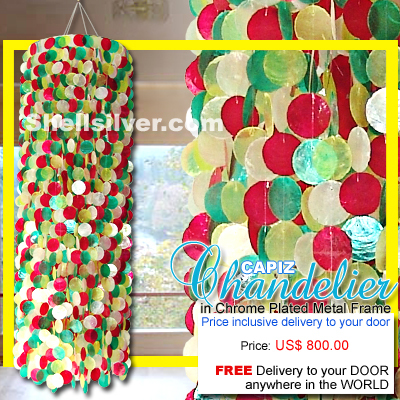 50mm capiz chips, 17 inches more..
3 layers Capiz chips natural white, yellow and green circle design, 359 pcs. 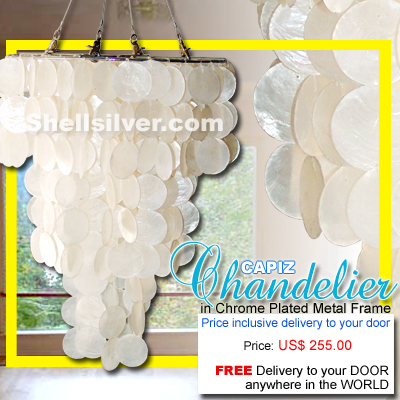 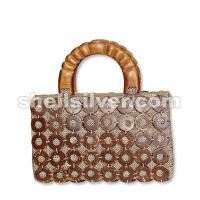 50mm capiz chips, 19.5 more..
Capiz chips natural white circle design, 53 strand, 371 pcs. 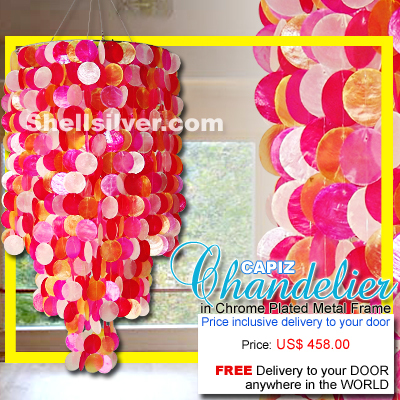 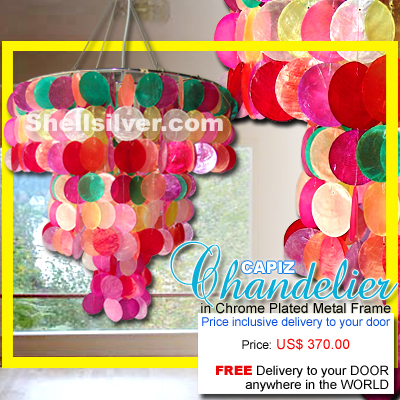 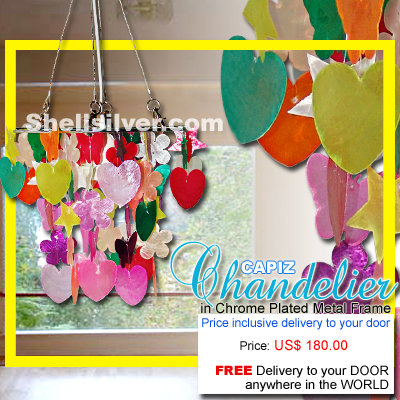 50mm capiz chips, 12 inches base to bot more..
3 layers Capiz chips green, orange, pink, red, yellow and violet circle design, 93 strand, 441 pcs. 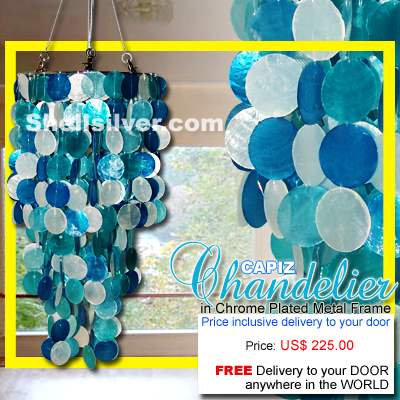 more..
3 layers Capiz chips natural white, blue and light blue round design, 54 strand, 444 pcs. 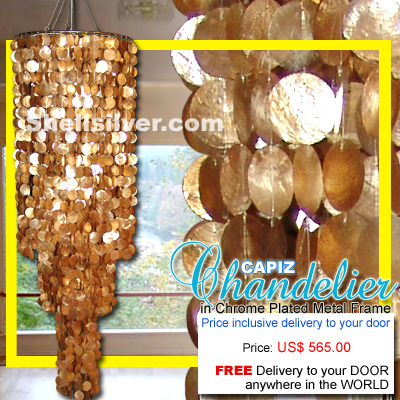 50mm capiz more..